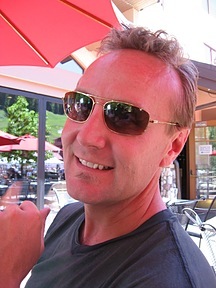 David Skul is CEO of 5280Creative, a full service marketing agency in Broomfield, Colorado that serves clients in Denver, Boulder and internationally. David Skul is CEO of 5280Creative, a full service marketing agency in Broomfield, Colorado that serves clients in Denver, Boulder and internationally. Mr. Skul is an offline and online marketing expert. Mr. Skul has deep multifaceted experience in b2b, b2c, vertical and horizontal markets. His expertise includes performing marketing research, analysis, strategy, business process design, process and efficiency evaluation, business development, sales management, executive leadership, public relations, copywriting and advertising in online and traditional mediums. David Skul has over twelve years of experience in marketing and has spoken internationally on the subject. Mr Skul’s education has been both traditional and a result of direct experience in the business development market place. David Skul estimates a 96% success rate of providing increased profitability to his clients. He is highly skilled in negotiating with advertising outlets. His success rate for negotiating lower advertising prices for his clients is nearly 100%. Mr. Skul served as adjunct faculty at Pueblo Community College teaching multiple marketing disciplines and design/layout courses. David Skul also served as adjunct faculty at CSU-Pueblo teaching multiple web technology related courses. David Skul has experience working with governmental agencies, school districts and non-profit agencies as a business and marketing consultant planning and implementing solutions across multiple disciplines. David Skul was responsible for the successful property tax bond proposal launched by Pueblo District 60 Schools. As a part of this bond effort, David Skul worked closely with Pueblo County GIS staff to design and plan a citywide fiber optic network that connected every public school in Pueblo. David Skul facilitated strategic planning with local governmental agencies, businesses, educational, philanthropic, religious and grass roots community organizations that spearheaded the use of the bond money by the school district. Philanthropically, David Skul has facilitated multiple strategic plans for Pueblo Colorado non-profit entities at no charge. He has volunteered to help non-profit agencies in Pueblo such as the Salvation Army, Pueblo Goodwill Industries, Pueblo Chamber of Commerce, Pueblo Hispanic Chamber of Commerce, the local Soup Kitchen, homeless shelter and Rotary Club. David Skul served as interim CEO during the financial reconstruction and rebranding of Pueblo Goodwill Industries. His tenure at Pueblo Goodwill resulted in the financial rescue and profitability of this non-profit and its eventual independence from Goodwill International. David Skul used his executive leadership, business development, marketing, advertising and managerial skills in a variety of ways to rescue this company. David Skul successfully launched, grew, managed and sold an online marketing company named LinkAcquire.com LinkAcquire became a very competitive and highly successful website back linking firm. LinkAcquire was purchased directly by one of David’s largest competitors. David Skulbased the headquarters of this company in Colorado but he managed eighty employees based in Thailand that performed the actual services for customers. In his managerial role, Mr. Skul was responsible for recruiting, hiring, training and monitoring outsourced employees and performance. His responsibilities also included negotiations with Thai government and business agencies. David Skul has applied his business development expertise while working with multiple land development companies in Colorado and Chicago. Mr. Skul was responsible for setting up Global Positioning System (GPS) business units within established land development firms. David Skul developed entire land surveying business units within established civil engineering firms. He routinely engaged in researching, analyzing and targeting markets for establishment of satellite land development offices in Colorado, Utah and Arizona. David Skul’s managerial skills were applied in his role as interim office manager while recruiting, hiring and training new employees to take over the office when David moved on to his next business development challenge. Mr. Skul has applied his online marketing, managerial, planning, research, analysis and traditional marketing skills while consulting in the hospitality industry. He is responsible for the creation, management, training and evaluation of ecommerce departments within local and national hospitality groups. David Skul’s online marketing skills extended to the development and management of Search Engine Marketing, Search Engine Optimization, Social Media Campaigns, and Pay Per Click Advertising with Google, Yahoo and Bing for these hospitality groups.